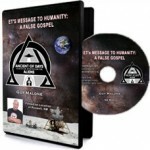 Guy Malone is best known as author of Come Sail Away : UFO Phenomenon & The Bible and as co-founder of AlienResistance.org, an organization dedicated to offering Biblical perspectives on the UFO / Abduction phenomena, and to helping people experiencing attacks from tormenting spirits to bring the torment to an end. In 1999 he moved to Roswell, New Mexico as a missionary researching UFO cults. In 2000, Malone opened “Alien Resistance HQ” in Roswell, as a clearinghouse of books and videos on the subjects of UFOs and Aliens. In 2003, he organized his first (of 7) “Ancient of Days” conferences held in Roswell. Malone attributes “favor from God” to (ironically) being asked to serve as Roswell’s “UFO Festival Director” and as organizer of The City of Roswell’s 60th Anniversary UFO conference in 2007. While in Roswell from 1999-2010, Malone traveled, ministered, “networked” and did outreach at annual UFO conferences around the country. Aside from countless FM Radio and internet based interviews, Malone has been featured in print publications such as the Fate Magazine article “Rebel With A Cause,” in the Christian magazine Charisma’s cover story “Aliens Among Us” and also appeared on “UFOs in The Bible” aired by The History Channel. 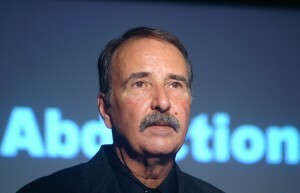 Guy Malone continues the work of producing various websites and videos pertaining to the topics of UFOs and alleged “aliens”, and offering the hope and evidence to those experiencing paranormal harassment from seemingly alien entities, that the “abduction” experience can be stopped – both in progress and as a life pattern – through relationship with Jesus Christ. Gary Bates is the CEO of Creation Ministries International (CMI) Worldwide, which has offices in 7 countries. It is believed that CMI employs more scientists than any other Christian organization. Their specialty is in dealing with the ongoing creation vs evolution debate and to highlight the social ills of rampant evolutionism. A well -travelled international speaker, Bates has been speaking on the creation/evolution issue since 1990. He was once an evolutionist, but is now fully convinced of the young-earth creationist position. He has a heart to communicate this information at a lay level so more can become convinced about the total veracity of Scripture. In recent years, Gary has undertaken specialist research into the UFO phenomenon and associated extraterrestrial beliefs. Gary has written the Amazon.com top 50 bestseller “Alien Intrusion : UFOs and the Evolution Connection“. This unique book provides biblical answers to the puzzling questions regarding UFOs and life on other planets. 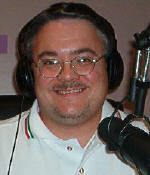 Gary is also on the editorial staff and a regular contributor to Creation magazine. Joseph Jordan is the President and co-founder of the CE4 Research Group, an Alien Abduction investigation and research team based out of Cocoa, Florida. 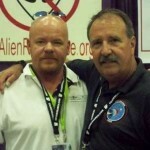 Joe has been a Mutual UFO Network Field Investigator since 1992. He has shared his research findings from his Alien Abduction investigations through many radio shows, newspaper and magazine articles, DVD’s, and lectures. His research findings on Alien Abductions have been written about in twelve different authored books over the past decade. He has spoken during six Roswell UFO Festivals in Roswell, New Mexico, including the 60th Anniversary Conference in 2007. He was also honored to host the Roswell UFO Festival Conference for the city of Roswell in 2008. The findings of CE4 Research are without a doubt the most powerful and controversial evidence of the true nature of the Alien Abduction phenomenon to ever be presented. William Alnor, PhD is the author of four books: “Soothsayers of the Second Advent ;” “UFOs in the New Age;” “Heaven Can’t Wait: A Survey of Alleged Trips to the Other Side“, and “UFO Cults and the New Millennium .” The late Dr. Alnor authored hundreds of articles and investigative reports in many magazines and journals. He appeared on numerous radio and television shows including 20/20, Inside Edition and A Current Affair. Formerly a professor at Texas A&M University (directing the journalism program), he then taught at Cal State, East Bay in Hayward, California. He oversaw the work of the Christian Sentinel’s publications and ministry. While working on his graduate degrees, he planted a church that became Calvary Chapel Living Waters of the Lehigh Valley in Allentown, Pennsylvania. He was an executive director of EMNR (Evangelical Ministries to New Religions) and coordinated two successful national conferences on cults and false religious movements. He was the news editor of the Christian Research Journal under the directorship of the late Walter Martin, the original Bible Answer Man and the former editor of National and International Religion Report. Not a weather balloon, not an alien spacecraft? What facts could be so terrifying as to warrant the cover-up and secrecy attended to the Roswell Incident – clandestine operations so morally repugnant that a Post-WWII government would prefer U.S. citizens think that the government was lying to them, than to reveal the ugliest truths of all? Malone posits that an alien spacecraft was not being covered up, but rather that an alien spacecraft was the cover up. His presentation rests largely on eye-witness testimony, government records not released until decades later, and quotes from today’s published Roswell researchers, and is known as “the most challenging, alternate view proposed yet for the Roswell UFO Crash of July 1947.” You won’t like it. You shouldn’t miss it. 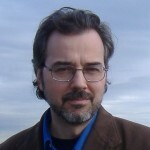 Guy Malone is best known as author of Come Sail Away: UFO Phenomenon & The Bible and as co-founder of AlienResistance.org, an organization dedicated to offering Biblical perspectives on the UFO / Abduction phenomena, and to helping people experiencing attacks from tormenting spirits to bring the torment to an end. In 1999 he moved to Roswell, New Mexico as a missionary researching UFO cults. In 2000, Malone opened “Alien Resistance HQ” in Roswell, as a clearinghouse of books and videos on the subjects of UFOs and Aliens. In 2003, he organized his first (of 7) “Ancient of Days” conferences held in Roswell. Malone attributes “favor from God” to (ironically) being asked to serve as Roswell’s “UFO Festival Director” and as organizer of The City of Roswell’s 60th Anniversary UFO conference in 2007. While in Roswell from 1999-2010, Malone traveled, ministered, “networked” and did outreach at annual UFO conferences around the country. 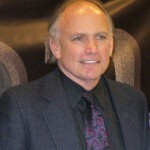 Aside from countless FM Radio and internet based interviews, Malone has been featured in print publications such as the Fate Magazine article “Rebel With A Cause,” in the Christian magazine Charisma’s cover story “Aliens Among Us” and also appeared on “UFOs in The Bible” aired by The History Channel. 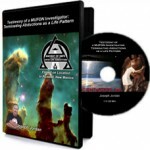 Guy Malone continues the work of producing various websites and videos pertaining to the topics of UFOs and alleged “aliens”, and offering the hope and evidence to those experiencing paranormal harassment from seemingly alien entities, that the “abduction” experience can be stopped – both in progress and as a life pattern – through relationship with Jesus Christ. To present Biblical evidence that the phenomena and entities commonly referred to as “aliens” by popular culture are indeed spiritual in nature – opposed to genuinely extra-terrestrial – and is best described as the activity of “fallen angels” intent on deceiving mankind away from a knowledge of the true God and gospel of His Son, our Lord and Savior Jesus Christ. To assemble many of most noted Christian authors and researchers in the field of “alien” research, so that others may benefit from their consensus view and combined decades of research and ministry, and thus equip The Body of Christ to not be deceived by these “…seducing spirits and doctrines of devils” (1 Tim 4:1) and perhaps most importantly, to effectively minister to those currently bound and tormented by their influence. 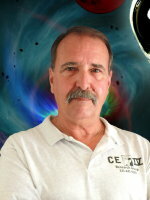 Joe Jordan is a MUFON Field Investigator, and for many years served as the MUFON State Section Director for Brevard County, Florida. Brevard County is the home of the Kennedy Space Center. 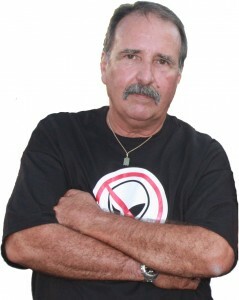 Joe has been involved in the field of Ufology for sixteen years, becoming a MUFON member in 1993. It wasn’t long before Joe began to see that to get to the truth of the UFO phenomenon you would need to get to the closest point on contact, the abduction experiencers. In 1994 Joe Jordan co-founded CE4 Research Group to expand his research and document the findings of his work with the Alien Abduction Experience. His findings will challenge your preconceived notions of the Alien Abduction Experience. J. Michael Bennett, PhD, has spent a career in the sciences, serving as a leader in a governmental aerospace laboratory, as well as operating his own successful technology development enterprise. He received his Ph.D. in engineering in 2003, after ending a 10 year education hiatus while working. He served as a leader in a military lab for sixteen years, developing protection technologies and other weird science contraptions. Since 2003, he has operated his own company, which combined technology development and consulting for military, governmental and commercial organizations, with his own in-house development of novel protection technologies. These technologies, invented and patented by Dr. Future, have been a major success in the marketplace, currently protecting police cars, race cars and military vehicles, and soon to include commercial buildings. He currently hosts the weekly radio show “Future Quake”, under the radio moniker of “Doctor Future”. In 2008, Bennett was invited to speak at a United Nations and World Council of Churches-sponsored international conference in Montreal, Canada, with the conference theme of “Reconnecting Heaven and Earth, in Spirit, Space and the Human Psyche”. This group has also created a new, ecumenical religious order called “The Order of the Transfiguration”, an “ecumenical order with links to the United Nations and the World Council of Churches”, which studies “apparitions, post-mortem contacts with dead saints, invocations of saints and angels”, amongst other things, which “is dedicated as a ‘mid-wife’ of a New Humanity in a New World Order”. Bennett was (somehow, miraculously!) the ONLY evangelical Christian invited to present at this conference. He (somehow, miraculously!) escaped with his life, and repeated this lecture at our conference. Mike Heiser has a Ph.D. in Hebrew Bible and Ancient Semitic Languages from the University of Wisconsin-Madison. Mike has an M.A. in Ancient History and an M.A. in Hebrew Bible and Ancient Semitic Languages. He has taught biblical studies and biblical theology on the undergraduate level for eleven years. He has had a lifelong interest in the paranormal, particularly UFOlogy, and the subject of ET life. Mike has lectured frequently on those topics, specializing in critical evaluation of the belief that UFOs and aliens are found in ancient Near Eastern texts, including the Bible. He is an expert on divine beings and angels in the Hebrew Bible, Second Temple Jewish literature, and Canaanite texts. Mike holds a personal disdain for both intellectual snobbery, and the religious fear of critical thinking (and thinkers) – both of which he feels tend to form an ungodly barrier between general academia, church leadership, and the public whom they should be serving. In that spirit, Heiser authored The Facade, a mind-blowing novelization of the above subjects, which makes his original perspectives and 20 years of highly credentialed scholarship easily accessible to lay audiences. Leah has been featured in Omni Magazine, The Joan Rivers Show, Encounters, and has delivered speeches from coast-to-coast. She is the author of Lost Was The Key. A true, first-person account of Leah Haley’s memories of abductions by what appear to be both alien beings and military and government personnel. A CPA with two master’s degrees, wife and mother, shares the emotional trauma she experienced when her balanced, safe, “normal” middle-class Southern Baptist world was shattered by abduction memories. When Leah sought professional help, she discovered that her memories were not manifestations of mental illness (and therefore she could not be “cured”). When she began to investigate, she relates that agencies of the U.S. government and/or military became so vitally interested in her contact with other intelligences that they were willing to risk charges of burglary, kidnapping, and torture to learn what she knew and to silence her. 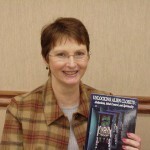 She relates her struggle to cope with her unusual experiences and relates her attempts to understand how aliens, UFOs, mind control and government cover-ups are related to God, spirituality and the Bible. John Greenewald, Jr. has been researching UFOs since the age of 15. He began simply with the question of whether any true evidence or documentation of UFOs exists, when he learned of the Freedom of Information Act. His persistent requests for previously classified documentation on UFO sightings and investigations through legal (but often hard to navigate) channels has resulted in his now famous website “The Black Vault.” Sometimes referred to as “the motherlode” of official, government UFO related documents, The Black Vault contains over 100,000 government documents detailing their investigations into UFOs. From the image on the right, you will see, however, that not all U.S. government UFO reports were ever intended to see the public eye! Find out more when John shares what he has learned. 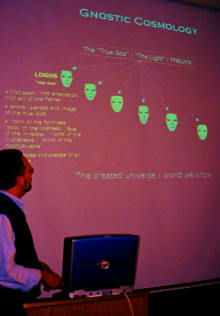 Greenewald has been a featured presenter at The Bay Area UFO Expo and the Tri-Lakes UFO Congress. 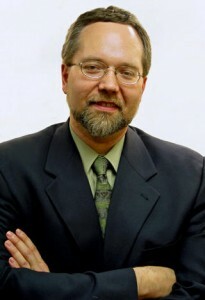 Richard Dolan is the author of “UFOs and the National Security State” (Volume 1, 1941-1973), and “The Coverup Exposed” (Volume 2, 1973-1991), recent works central to understanding the government management of the extraterrestrial phenomena issue during the second half of the 20th Century. He will provide a historical foundation for UFOs and government secrecy. Drawing on official documents acquired through the Freedom of Information Act, he will detail the extreme levels of interest given to UFOs by the U.S. military and intelligence community, despite public statements to the contrary. One reason he offers is that unknown and extraordinary objects have repeatedly violated sensitive U.S. airspace. Frequently, these objects exhibited capabilities far beyond those of military aircraft even today. Dolan’s historical analysis will include the origins and development of a secrecy/cover-up posture during the cold war, as well as descriptions of several spectacular military encounters with UFOs. He will also point out why it is unlikely that “true” UFOs in the early years could have been the product of a secret military program. Stephen Bassett is a political activist, founder of Paradigm Research Group, Executive Director of the Extraterrestrial Phenomena Political Action Committee (X-PPAC), and a political columnist, and former Independent candidate for Congress. Presently he is the only registered lobbyist in the United States representing ET related phenomena research/activist organizations, and X-PPAC is the first political action committee to target the political implications of extraterrestrial related phenomena. In 2002 he conducted an independent candidacy in the 2002 congressional campaign for the 8th District of Maryland. It was the first instance in which a candidate on the November ballot in a federal election addressed the matter of an extraterrestrial presence and the government imposed truth embargo. Since 1996 Bassett has assisted a number of organizations and initiatives, which have been making the case for 1) an end to the government embargo on the truth surrounding an ET presence and 2) open congressional hearings to take the testimony of former military and agency employees witness to ET related events and evidence. He has spoken to millions of Americans about the likelihood and implications of a formal disclosure event. 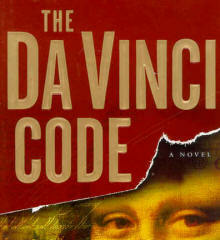 Dan Brown’s The Da Vinci Code has become an international phenomena with 45 million books in print, and is coming to theaters May 19 in the major motion picture starring Tom Hanks. While presented as fiction, the novel makes claims of extensive research that are, at best, challenging to traditional Christian teachings. Among the ideas presented as fact in The Da Vinci Code are that Jesus fathered a child by Mary Magdalene (a bloodline that allegedly continues today), that the early Catholic church concealed this and invented the doctrine of Jesus’ divinity, and that the church intentionally rejected any texts that hinted at this history from inclusion in the Bible, in part to suppress the role of women. “The novel relies primarily on the teachings of Gnosticism, an early Christian sect,” according to Bellingham-based theologian and Academic Editor for Logos Bible Software Dr. Michael S. Heiser, Ph.D. Heiser holds advanced degrees in Ancient History, Semitic Languages, and Hebrew Bible, and says he is very familiar with the Gnostic texts and the “conspiratorial” version of history The Da Vinci Codeis based upon. He plans to examine, and where appropriate, to rebut, the claims of Brown’s novel from both historical and theological perspectives via a one-day conference held at Hampton Inn’s Fox Hall in Bellingham, Saturday April 22nd. 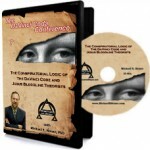 Heiser will present a series of 45-minute lectures targeted at specific claims of the book. Scheduled sessions include an overview of Gnosticism, an examination of the evidence for Jesus’ alleged marriage, a historical view of the idea that Jesus is God prior to Constantine’s third-century declaration of such, the Gnostic view of women, and a working overview of how texts appearing in modern Bibles were selected. Dr. Heiser discussed the claims of The Da Vinci Code for three hours in December before a national audience on the popular late-night radio show Coast to Coast AM with George Noory. At the request of an out-of-state sponsor* who heard the program (and is working with Faith Reformed Church in Bellingham, where Mike attends), he agreed to present the one-day conference to record for DVD. Name Your Own Price DVDs? We have made all of the above titles available for free viewing on the Alien Resistance Youtube channel. we do offer the above titles as plain home-burned DVDs in paper sleeves which are shipped on a “name your own price” donation basis. Please email alienresistancehq@gmail.com for more info. Please include a note specifying which DVDs you would like, and make sure to include your shipping address.